The Chimaera Regiment follows Hector as he sets off on a world altering journey. What was the initial idea behind this story and how did that transform as you were writing the novel? The first idea that I incorporated into this story, or what eventually became this story, was the question, “What if someone compelled a worldwide society, perhaps not far into our future, back to a level of technology and culture comparable to the very first tribal communities?” Of course, by the time I wrote the book, I had decided to aim for something closer to the late Bronze or early Iron Age than the Stone Age, and the whole question became part of the world-building rather than a story I tell during the book. The character of Hector started to develop as I began to catalogue ideas and lay out a basic plan of the plot. Up to that point, I had never completed anything longer than a short story (in spite of my best efforts), so I wanted to make it as easy as possible for myself to get all the way through a novel. To that end, I took that advice so frequently bandied about, “Write what you know,” and decided to make the hero someone a little younger than I was at the time. The first draft of the novel was quite a bit shorter than it is now, and it ended up collecting dust in a box for a few years. (I prefer to write first drafts by hand.) Around the time a movie was released with, by total coincidence, my working title, I decided to go back to it and see what I could make of it. By that point, I had gotten a college degree and learned enough to know that the first draft had a good core, but the implementation was all wrong. Over the next couple of years, I went through the entire book and rewrote it, this time trying to make sure all the pieces aligned. 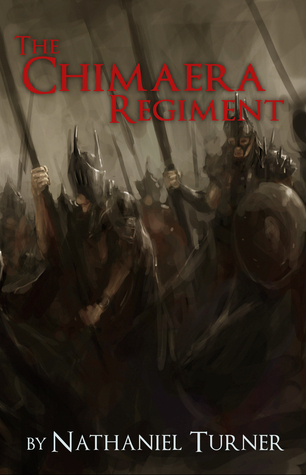 It was at this point that I incorporated mythology into the story and titled it The Chimaera Regiment. That initial idea is still in there, and you can see the edges of it as the backstory develops through this book, but I’m going to explore that question more closely in future books. I think the story has roots in mythology. Do you read books from that genre? What were some books that you think influenced The Chimaera Regiment? For The Chimaera Regiment in particular, I looked to a lot of different sources for inspiration. What I wanted, perhaps most of all, was to craft a story that people would enjoy regardless of their educational background, but I also wanted to include a lot of “Easter eggs” for people with the same knowledge-base I have. So on the surface you have Hector on his quest to save the world from the Chimaera Regiment, and underneath that, I’m incorporating themes and plotlines from the myth of Bellerophon. Bellerophon, of course, was the hero that killed the Chimaera in the Greek mythos. Most of that particular tale comes to us from the writings of Apollodorus and one section of Homer’s Iliad, but there are a lot of minor references in other works, too. While the myth of Bellerophon and the Chimaera is interwoven with the main plot, I also included references to other myths, both significant and minor, throughout. The vast majority of those can be found in Homer (either the Iliad or the Odyssey), Vergil (the Aeneid), or Ovid (the Metamorphoses), but to be honest, I enjoyed the process of hiding those references so much that I’m not completely sure I could tell you all of them at this point! I found the characters in this story to be complex and engaging. What were the driving ideals that drove the characters development throughout the story? Especially when it came to Hector, whom we follow more closely than anyone else, I wanted something realistic. I find a lot of “coming of age” hero stories jump too quickly from “callow youth” to “great warrior” without much reason for it. I didn’t want my readers to ask, “Wait, why can he do that? How come he’s not daunted by this fight or fazed by this tragedy? 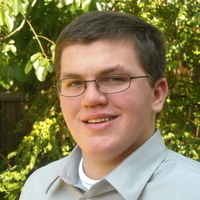 When did he have time to learn strategy?” Incorporating that development was important to me. When it came to the other characters, it was a matter of establishing ideals for each of them—how they saw the world, how they expected life to go—and then challenging those ideals with reality. Sometimes reality is better than they thought, but usually, it’s worse; either way, they have to adjust to deal with that. It’s a process not altogether different from the way we deal with change in our own lives. I find a problem in a well written stories in that I always want there to be another book to keep the story going. Is there a second book planned? There is a second book planned (and, very roughly, a third). 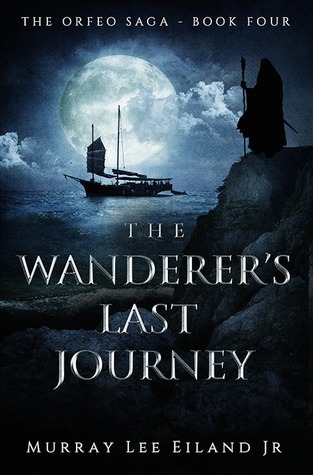 The sequel is titled The Aegipan Revolution and picks up, not where the main story of The Chimaera Regiment leaves off, but rather where our epilogue leaves off, with the child learning this epic tale from his history. I’m in the midst of writing The Aegipan Revolution, and I’ve passed the halfway point, but there is still a lot left to tell. After that, I’ll need to edit it thoroughly (though hopefully not as slowly as the first book!). On top of that, my day job has me incredibly busy these days. So I’d love to set a date for the next book’s release, but I can’t realistically estimate that right now. It is late autumn in the 2040th year of the Sixth Era. For centuries, peace has reigned among the tribes of men, but as an early chill descends on the land, a new war looms from the south. 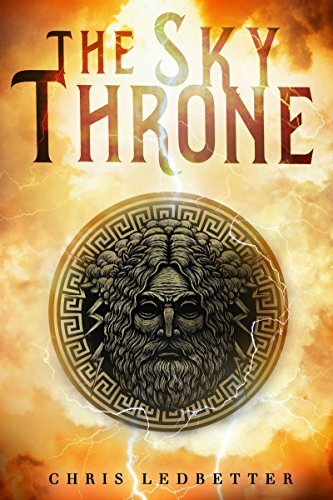 Lord Derek, ruler of the Chimaera Regiment, seeks to reestablish the ancient Fylscem Empire under his banner, and he will stop at nothing to restore the dominion of his bloodline. Before him lies the idyllic Valley of Kyros, home of the Alkimites, where the last direct heir of the old empire lives in ignorance. Guided by the ancient Guardian Lord Aneirin, Hector son of Abram must travel to the primeval capital of his heritage. There, in the Library of the Ancients, he must retrieve the three Blessed Blades of the Emperor, symbols of his authority. Agents of the Chimaera Regiment pursue him, and barbaric tribes stand in his way, but his path may unlock the secrets of the past, and it could bring light—or darkness—to the future.